Baghdad -Iranian Foreign Minister Mohammad Javad Zarif met with his Iraqi counterpart in Baghdad on Sunday for wide-ranging talks, including on US sanctions against Tehran. The visit came just days after US Secretary of State Mike Pompeo made a surprise stop on his regional tour to urge Iraq to stop relying on Iran for gas and electricity imports. Washington has granted Baghdad a waiver until late March to keep buying Iranian gas and power, despite reimposing tough sanctions on Tehran in November. After a two-hour meeting on Sunday, Iraq´s top diplomat Mohammed Ali al-Hakim said he had talked through the restrictions with his counterpart. Hakim said Iraq was in favour of the Arab League reinstating Syria´s membership, eight years after suspending it as the conflict there unfolded. 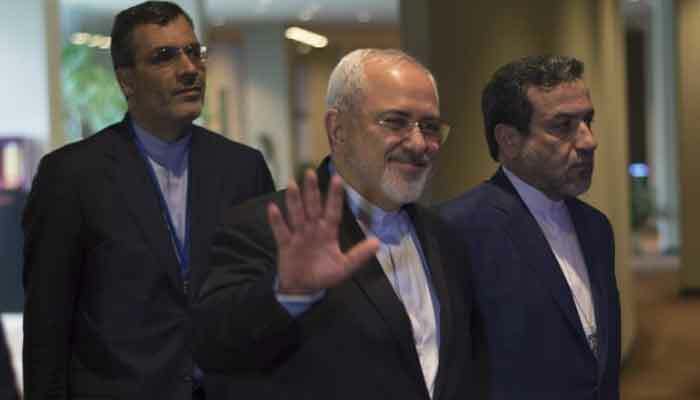 Zarif is expected to attend several economic forums in various Iraqi cities, including Sulaymaniyah in the Kurdish north. Iran is the second-largest source of imported goods in Iraq. Besides canned food and cars, Baghdad also buys 1,300 megawatts of electricity and 28 million cubic metres of natural gas daily from Iran to feed power plants. That dependence is uncomfortable for Washington, which sees Tehran as its top regional foe and expects Iraq to wean itself off Iranian energy resources. But energy ties between Baghdad and Tehran appear to have remained close, with Iran´s oil minister visiting Baghdad last week to denounce US sanctions as "totally illegal".